Today swords are again becoming a battle tool. You may be surprised that swords have been used quietly overseas in our own current military and US security operations. Swords answer the “then what?” question after your M4, M16, AK47 and/or Beretta 92F has run dry and you still have numerous bad guys attacking you. It is understandable why some special forces have found long knives and swords handy in very intimate combat situations. 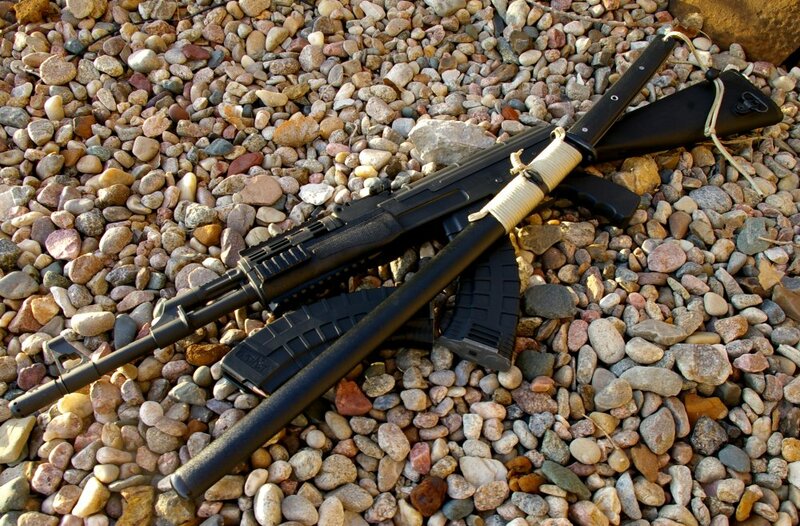 In extended survival you will be faced with a need for defensive capability after your ammo runs dry or to supliment your firearm such as the 100% USA made Century Arms AK47 pictured. In intense close quarters combat the katana and wakizashi swords are without equal in strength, speed, effectiveness and cutting power while minimizing weight compared to other sword designs. 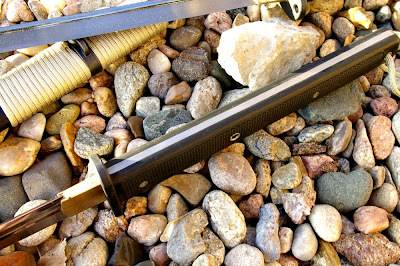 I thought it practical to explore this area of survival with Cas Hanwei’s newest Tactical Katana and Wakizashi swords which were designed with current tactical needs and a survivalist mind set. It is estimated that most armed people will be out of ammo one year from event date and it one reason I preach the benefits scavenge-able 38 special/.357 magnum caliber. In an extended survival situation without electricity and after all the gun powder is gone, we can expect to party like its 1399 again where swords will be the popular defensive weapons. Swords were the most effective infantry wielded offensive and defensive tools until reliable case feed firearms entered the battlefield.. they excelled at stopping adversaries. They are also superior in combat situations to more more common bats, clubs, and stern words. Without dancing around the point, you have stuff for survival and once polite society breaks down, others ill prepared will kill you to get what you have. It makes sense that a sword is and will be a very power superior weapon even against multiple opponents and well worth the $170-$240 investment Cas Hanwei is asking for the Tactical Katana and Wakizashi for the survivalist. During extended survival we will need a sword. The problem is most swords in closets and on the market are junk tailored to look good for the collector on the wall or as a uniform accessory. Typically these swords lack the edge holding and steel strength necessary for a real battle or in this case, defensive survival. In the post apocalyptic survival or zombie plagued future (if you believe in that) we want to assure the defensive swords we wield are up to the punishing task of battle. Once famous historical Japanese Samurai swords are illegal to export from Japan and the cost of swords from most custom master sword smiths will require you to remortgage your home. For very high quality and affordable battle worthy swords we need to look to the union of Paul Chen and Hanwei, one of the most famous modern sword makers. Cas Hanwei is known for some of the finest custom and production combat ready swords in the world with products ranging from fencing foils and accessories to katanas for mat cutting. Since 1991, they have become very highly regarded as the finest production sword makers by a variety of sword practitioners. Hanwei’s cutting edge facility has also been noted as the finest modern tooling, forming and metallurgy sword making facility in the world and is the only production sword maker delivering forged, folded, powdered crucible, and L6/Bainite steel swords. I personally have one of their forged custom katanas... it spectacular $800 piece but a little high maintenance and elaborate for a survival situation. 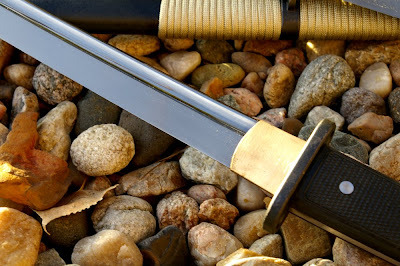 Despite the sword purist harshing on the idea, many of use have been screaming for a modern affordable combat Katana and Wak without all the finish work for years that is designed to take a serious beating. From my perspective, the request made sense as the sword has always adapted and evolved to leverage the newest cutting edge materials to answer combat needs. This update was the intent of the Cas Hanwei Tactical Katana and Wakizashi and provides military operators and regular preparedness folks like myself with improved use and durability for modern combat. Several goals of these Tactical swords were to maximize durability, weight, and ergonomics for modern day combat. The steel, blade geometry, and superb cutting ability of the Tactical series was carried over from the Can Hanwei’s high durability Raptor series. 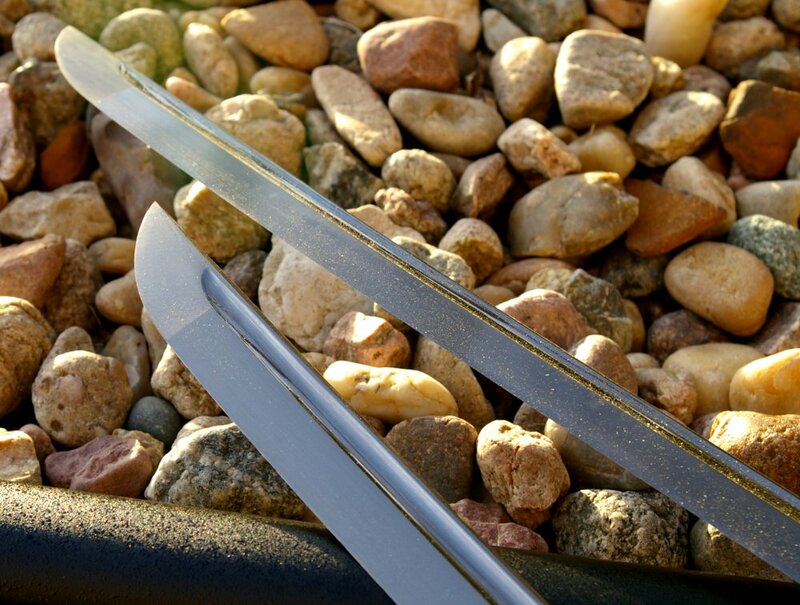 The Raptor series were designed by renowned sword expert James Williams as a highly durable sword which allow cutting practice on about any material while being resilient and forgiving without blade damage to poorly executed cuts. There are several differences between the Rapter and Tactical series starting with blade width full tang construction for maximum strength and a more traditional flat tsuba (guard) versus a traditional round guard. 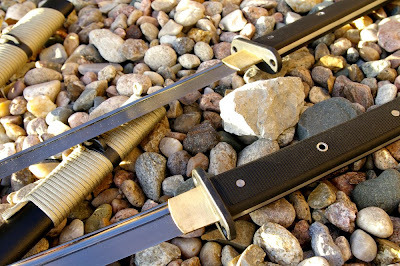 The Cas Hanwei Tactical Wakazashi and Katana blades are atypical lengths of 20” and 27.5” respectively made from 5160 high-carbon spring steel averaging ¼” thick. Hanwei certainly makes more expensive, sharper and harder steels for various swords tuned specifically for cutting demonstrations, however that is not what you want in a survival situation. Swords are not indestructible and in fact I have seen someone screw up a mat cut with a very nice sword and turn a $700 sword into a bent paperweight. The 5160 high-carbon steel used in the Tactical Series will take and retain an edge well however are more durable and forgiving to side and improper strikes and is less likely to take-a-set or bend. I would recommend anyone without extensive sword cutting and fighting experience select a spring steel blade. From my perspective and experience, Can Hanwei has made the right decision with the 5160 steel for swords intended to actually stake your life on or pull double duty as a machete. A traditional sword handle is usually cord wrapped ray skin which although it looks cool, is a pain to clean and requires maintenance if used daily or if exposed to the elements. Hanwei updated the handle for their Tactical series to a checkered Kraton handle secured permanently via rivets through the blade to the other handle half. The Kraton handle provides a durable, secure, and maintenance-free all-weather grip all while greatly reducing the price. 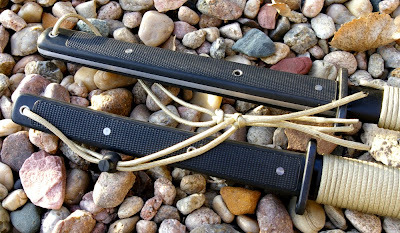 Both swords have lashing/lanyard eyelets at the guard, middle and end of the handles and have included about two feet of paracord and tensioner for use as a lanyard. For those that have done sword cutting training, you know occasionally the sword can get away from your as your are learning... great feature. Instead of a wood scabbard, the Tactical series feature very tough fiberglass scabbard construction with a drain hole. This avoids water absorption, promotes drainage, increases strength, and reduces overall carrying weight. The scabbard includes several lanyard holes and includes enough ParaCord to provide waist or chest carrying as well as backpack attachment options. Each sword comes with a very nice fabric sheath wrap for storage and could provide more descrete carry without screaming "I am carrying a sword". Unlike bare steel swords that require near constant maintenance to prevent rust and corrosion, the 5160 high-carbon spring steel Tactical series blades are plasma coated for protection. Cas Hanwei put the money in the materials and forming where it should have been and skipped the very expensive mirror polish in favor of a subdued finish. A polished blade it not what you want in a tactical situation anyway and would only add to the cost. 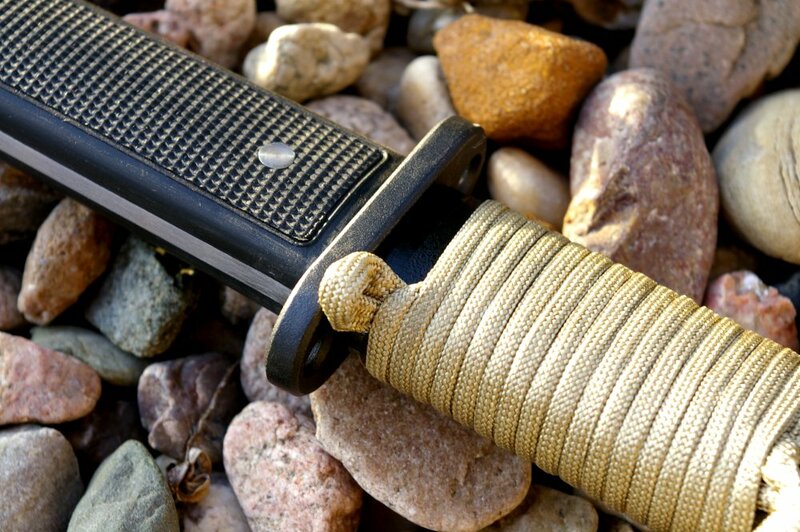 The feel mimics a traditional katana and wakizashi from the exit of the scabbard to the cut. The only difference I felt was a slightly lighter/quicker feeling blade due to the extra full tang weight on the Tactical models which I would consider a plus. Although the Katana gets all the attention as the big war sword, the Wakizashi is actually the blade kept by the samurai’s side at all times even when sleeping at home while the katana was typically placed at a place of importance/honor in the home. Technically the Wakizashi is also the more practical more maneuverable weapon in tight urban hallways as you simply do not have the room to effectively wield a Katana. 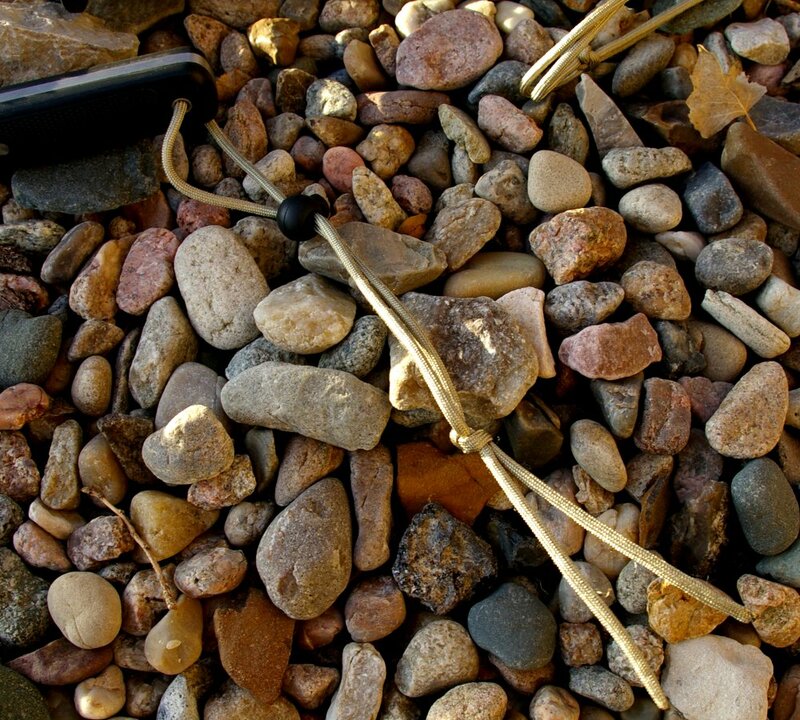 The atypical ninja sword has a blade only 2” longer than a standard Wakizash for this reason of maneuverability. 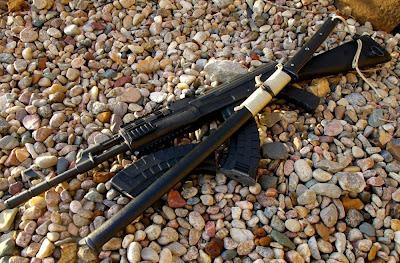 If I had to choose only one of these two fine swords, it would be the Tactical Wak as it is more practical in now more typical urban warfare environments. That said if you have the room to maneuver, the Katana has no equal. The Tactical Wakizashi and Katana can also serve machete duties as well as defense. The more preferable situation would be to carry a light machete or large knife instead of potentially damaging/dulling a defensive weapon cutting wood and shrubs. The Tactical Katana and Wakizashi both performed extremely well on a number of cardboard straight and tubing Tameshigiri/cutting tests and also easily chopped through green 1”-1.5" soft wood trees in one cut. Let me tell you that you certainly get odd looks when you do your winter scrub and tree trimming around the house with swords, but it was fun. I do love the look of the traditional hand wrap however, the Kraton is a significant grip and handling improvement even when wet from my perspective and would greatly reduce cleaning time removing cannibal and zombie goo from everything. 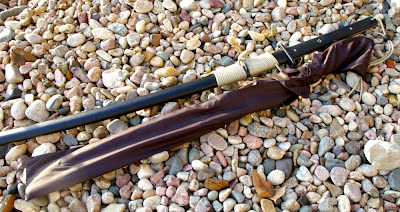 Swords have a number of advantages for the operator and survivalist. They have powerful psychological defensive and offensive abilities as well as being very effective weapons, in most cases can be possessed where firearms cannot, and will never run out of ammo. The Tactical Katana is a tremendously effective weapon with good reach. The Tactical Wak will most likely be the most popular option due to size and weight all while retaining substantial cutting effectiveness and the ability to be wielded effectively both single and dual handed. Cas Hanwei has successfully updated and transformed the Katana and Wakizashi from wall show pieces back into the battlefield tools they once were all for a very affordable price. They have trimmed the fat down to what you need without any frills and these swords are exactly what we have all been begging to be released for years. If you are looking for a showpiece choose from Hanwei's other lines, however if you are looking for something to actually use, these swords will take hard and heavy use in the field and continue to perform with minimal care. Whether you are preparing for a world after a catastrophic event, the zombie apocalypse, practical training, in need of some cutlery backup as an operator, or freaking out the neighbors, the Hanwei Tactical Katana and Wakizashi swords are excellent cost effective battle worthy tools to have in your arsenal. This is a hand finished items and specs will vary slightly from piece to piece. Great review...time to order mine! Sharp, dangerous, usefull, light weight, and mostly, practical...Don't trust my experience, go do your research... the katana is long forgaten in history, even in both the origin and golden ages of japan the bow and spear where the prefered weapons respectively... in case of a zombie apocalipse, well things might be diferent, but it ain't gonna happen... well, stay safe, and take care!